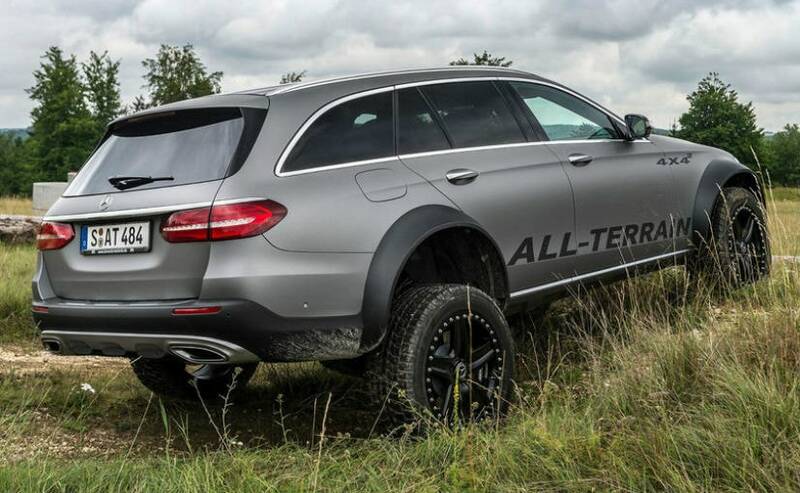 Mercedes-Benz E-Class All-Terrain concept could be the answer to the Audi A6 Allroad concept. Well, as you can see in the pictures, the E-Class All-Terrain is something else! The Mercedes-Benz E-Class is a luxurious sedan/estate, which has been a mainstay for the company for a while now. But one engineer, Jurgen Eberle, from Mercedes-Benz had this crazy idea to use an E-Class estate and convert it into a butch, jacked-up SUV. 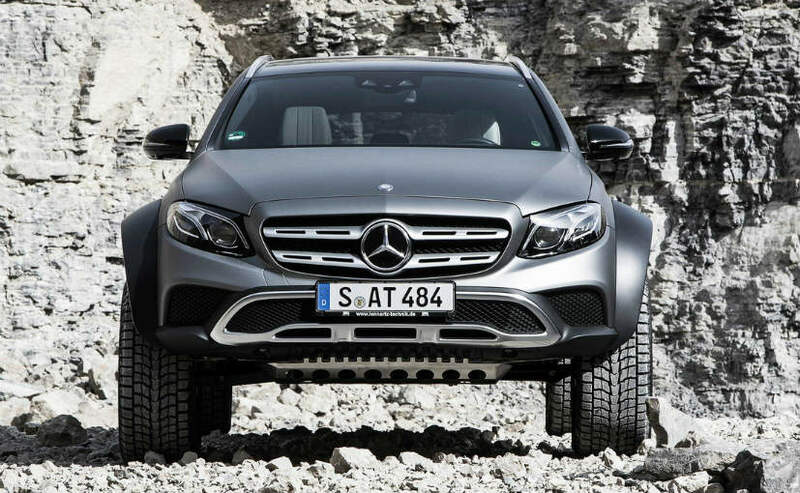 Enter the Mercedes-Benz E-Class All-Terrain concept. It could be the answer to the Audi A6 Allroad concept. Well, as you can see in the pictures, the E-Class All-Terrain is something else! Herr Eberle's inspiration was the mad Mercedes-AMG G63 6x6 and the G-Class 4x4^2 . He used plastic body-cladding to add muscle to the body, increased the ground clearance to 200 mm in the first phase. He wasn't quite satisfied with it and raised the ground clearance to a massive 420 mm. He used portal axles from the G500 4x4^2 and to achieve the same. The wading depth is an impressive 500 mm and the approach and departure angles too have been bettered. The wheelbase and the track dimensions too are different from that of the regular E-Class All-Terrain, thanks to the portal axles, which now sit above the height of the wheel hubs. The concept uses huge 285/50 R20 tyres and has a 3.5-litre V6 petrol engine that makes 328 bhp and 480 Nm of peak torque. The exoticness doesn't end there. The concept uses carbon-fibre wheel arches too. 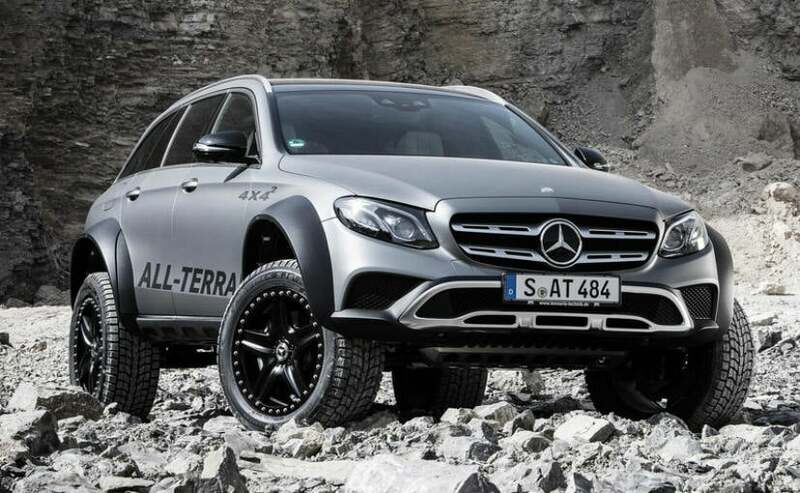 From what we believe there is just a chance, a rather minute one, that the E-Class All-Terrain 4x42 might actually go into production. We just hope that it does! Now, what a sight would that be!